As mentioned, I write the resident recipe column in our monthly 60+ page, full-colored neighborhood magazine. If you haven’t seen it, remind me to show you because for a neighborhood magazine and free publication to residents, it’s pretty impressive! 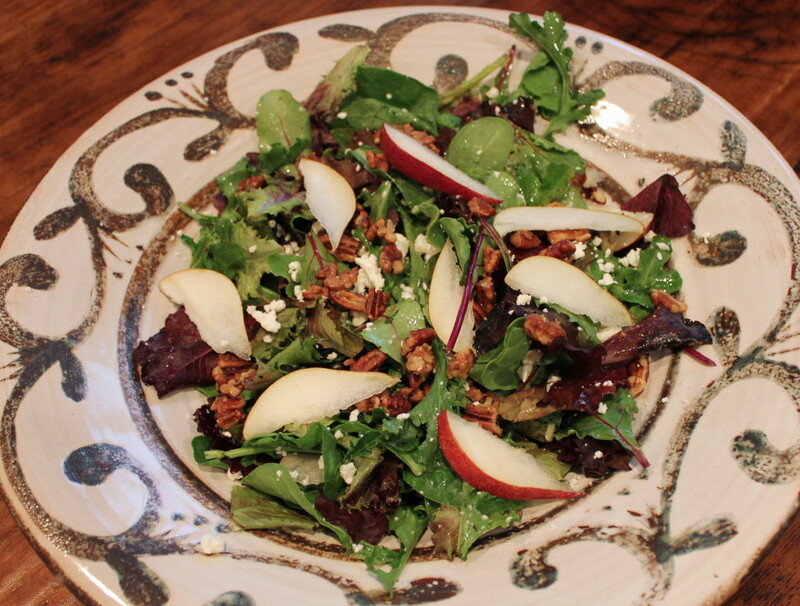 For the month of October, I wrote about a wonderful field green salad with seasonal red Anjou pears, Feta cheese, and homemade glazed pecans. One of my favorite things about writing the resident recipe column is that I get to try all the food! Lucky for me, the resident gave me the entire salad to take home. I ate it for lunch at work and it was OUTSTANDING! 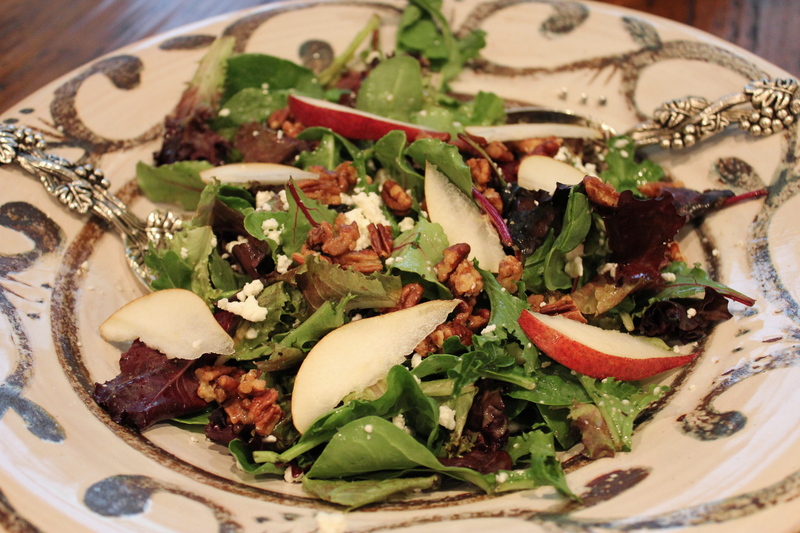 The glazed pecans and fresh pears were the best part of the salad. The pears were extremely fresh, juicy and sweet, and the glazed pecans were crispy and had plenty of sugar on them. (I love sugar!!) The combination of ingredients and flavors were perfect in this autumn salad. When it comes to fall fruit, crisp-tart apples usually steal the spotlight and sweet, delicious pears are often overlooked. 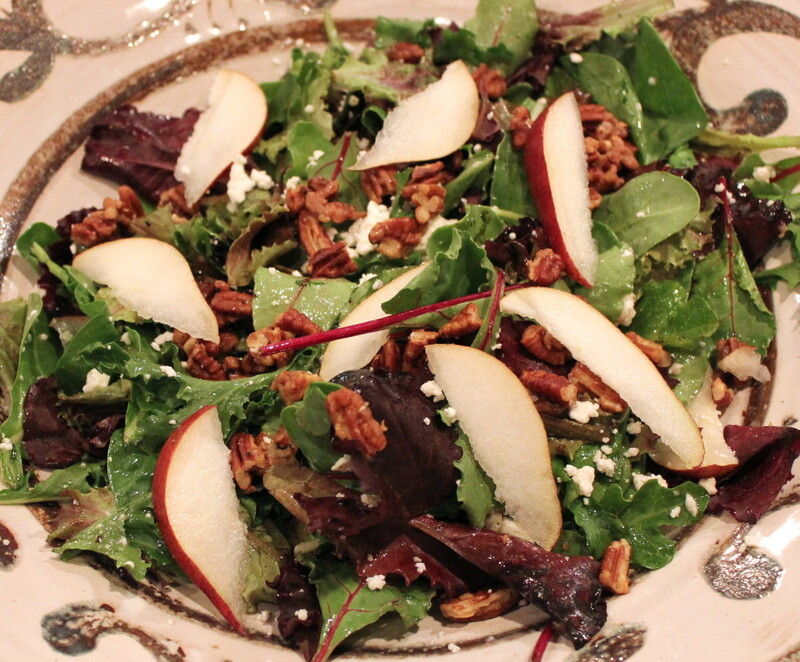 Fortunately, Mary V has a perfect autumn salad using seasonal red Anjou pears and homemade glazed pecans. 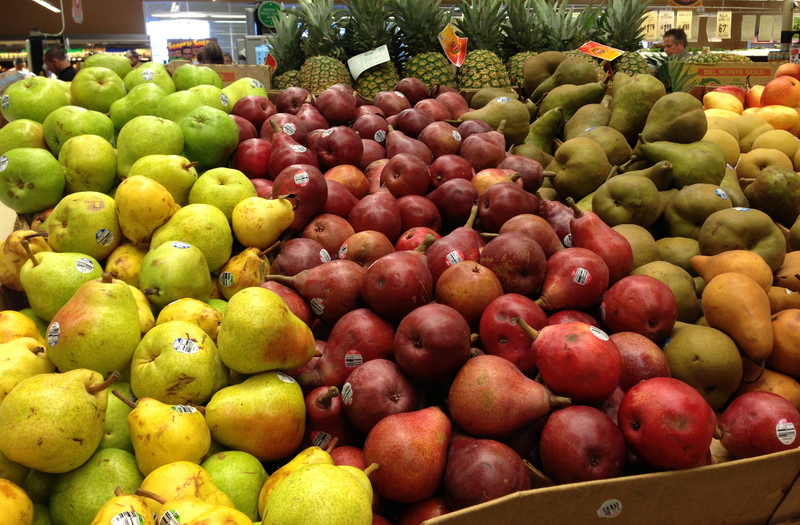 Note: Depending on the season, not all grocery stores will carry red Anjou pears. Central Market and Whole Foods usually have a great selection. They can also be found at Kroger. FOR THE PECANS: Mix 2 tablespoons of sugar and butter over medium heat. Toss in pecans and stir. Let bubble, stirring only occasionally and pour out on plate sprayed with Pam. Break apart when cool. FOR THE DRESSING: Whisk together canola oil, red wine vinegar, lemon juice, and remaining 2 tablespoons of sugar. Salt and pepper to taste. TO PREPARE THE SALAD: Sprinkle mixed greens with Cavenders Greek seasoning. Add Feta cheese to taste and the sliced a red anjou pear. Toss in dressing and top with glazed pecans.